Boaz Vaadia will have four sculptures installed in downtown Rockford. 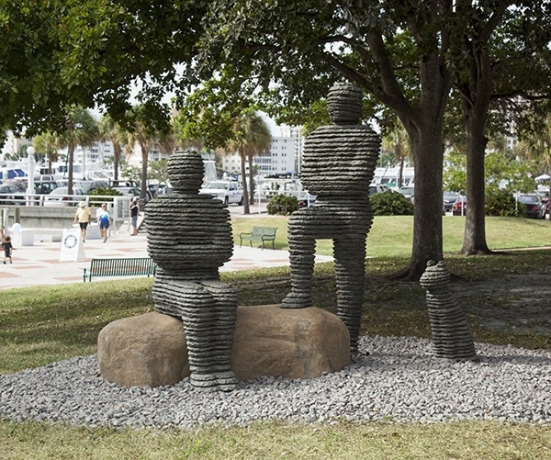 The four sculptures, "Asa & Yehoshafat with Dog", "Ba'al & Yizhaq", and "Yo'ah with Dog" will join "Ah'av" and will be on loan to the community for one year. The sculptures will be installed throughout downtown Rockford as part of a new Rockford Area Convention and Visitors Bureau initiative.